McCrae Yacht Club in Melbourne, Victoria, is to host both the 2018 Australian and World Championships in the International Contender class on Port Phillip Bay in January when over 80 entries from Australia and worldwide are expected to attend. Interest has already been indicated from Italy, the UK, Germany, Denmark, France, USA, Canada and of course Australia, for the Soho Lawyers Australian Championship to be held from 16-18 January, and the iSail Whitsundays World Championship from 19-25 January. In July 2017, the Worlds in Denmark came down to the wire until the final race was abandoned, tipping the Championship in favour of Queensland’s Jason Beebe from the outgoing two-time world champion, Mark Bulka, who happens to represent McCrae Yacht Club. There was clear daylight to third placed Jesper Nielsen from Denmark, 33 points behind the winner. After taking victory from Bulka by eight points, an emotional Beebe said: “I am very relieved. Light winds are not my forte – so anything could have happened in that last race. Come January, the slate will be clean and Beebe will have to prove himself again – on Bulka’s home turf, which would rattle the best of them. But not Beebe, who says he is happy to win just the one time. “Quite possibly it will play into Mark’s hands, but what will be will be,” concedes a now relaxed Beebe, who gave away sailing the Contender in 1998 when family and work took over. He also tried his hand in two other classes before returning to the fold in 2015. “I had a crack at International 14’s and then at a 49er Olympic campaign for 2004, just to sail against the best. I got to do that against Chris Nicholson. It was a great time, but put into perspective that it wasn’t for me, because it became a job, not fun,” Beebe says. Bulka won the Nationals this January, by two points to Beebe. “For whatever reason, at the moment Mark and I have a jump on the rest of the world. The person Mark or I need to worry most about is the Brit, Simon Mussell. But he’s a big bloke and needs consistent big breeze. Port Phillip Bay is usually pleased to provide such conditions during the period the Soho Lawyers Australian and iSail Whitsundays World Championships will take place. 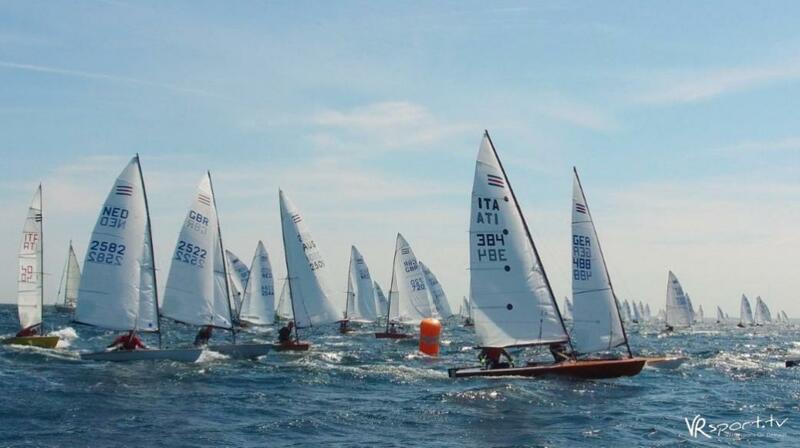 “Contenders are truly one of the most international classes, with huge numbers sailing. When they hit that sweet spot, it’s wonderful,” Beebe says of the boat designed by the famous Ben Lexcen, who was then known as Bob Miller. Event organisers have made arrangements for family, friends and fans to follow the events via real time race tracking provided by Sail Racer and CST Composites, while daily video action comes to you from VRSports. Alternatively, come to McCrae Yacht Club near Mornington to watch. The bar will be open for refreshments throughout racing. Racing at both events will be held from 2:00pm daily, weather permitting.